Submitted by Mike Shea (not verified) on March 25, 2007 - 12:22pm. I was actually surprised to find out that the Merlin Show isn't already HD. I watched the last episode as the first video on my newly unboxed Apple TV and thought it looked great. I'm running on an old-school 1080i HDTV through component video so there's some sort of scaling going on that would probably horrify me if I knew exactly what it was doing (downconverting to 540p and upconverting to 1080i for example). I'll be excited to see the Merlin Show in 720p. If they don't release movies and TV shows in HD, I'm going to be pretty upset. The whole concept of watching $10 DRM-dripping sub-DVD quality movies on a $300 device is idiotic. I can buy DVDs for less money with higher resolution video, multi-channel audio, more extras, and play them back on a hundred different $30 DVD players. I bought my Apple TV to stream music and iTunes TV shows to my big TV. I don't pay for cable so I'm saving a bit of money there, but most people won't cut off their cable connection just because they have Apple TV. 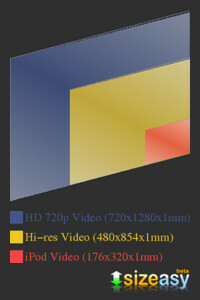 For those folks, what is the advantage if not HD quality media? Oh yeah, and where's the Dolby Digital sound? That will no doubt add quite a bit more to the download size but DVDs have had higher resolution video and six-channel audio seven years before Apple TV came out. I want 720p video and six-channel Dolby Digital sound from both movies and TV shows before I'm really happy about my Apple TV. I know the download is big and I know the storage on the Apple TV is small but I can live with recycling content off the drive and I can live with an overnight download. If they want to show me that the digital distribution model can work, they have to give me a superior product. Thanks for the show, Merlin.